Come be nourished with DCK Lifestyle on our next retreat in sacred Sri Lanka as they take you on a deeply nourishing journey to help you reconnect with your true self and deepen your sense of being. This 8 day luxurious retreat held on the enchanted shores of South West Sri Lanka will provide you with the opportunity to take complete time out from the busyness of your everyday life and enable you to connect with your true essence and what really matters in your life. Expand your knowledge and detox your mind with private daily yoga sessions, guided meditations, individualised spa treatments, nourishing meals created by our internationally renowned raw chef, and nutritional and clean living workshops that will enable you to take home memories, insights and a peace of mind that will last a lifetime. DCK Lifestyle offers an intimate setting with complete privacy on all of our group retreats, hence group sizes are limited to 5-8 people. We will take you on a cleansing journey to reconnect with self & deepen your sense of being on the enchanted coast line of South West Sri Lanka in our private luxury beach front villa in the sort after town of Tangalle. Your personalised DCK schedule will take you on a soul nourishing week of personalized yoga, yoga workshops, nutritional education, clean living workshops, raw food, wholefoods cooking classes and detoxification. We believe knowledge is power hence why our retreats have a huge emphasis on knowledge & empowering each guest with the skills to deepen their knowledge, detox your mind & give you the secrets to set you up to live a healthy, happy & sustainable lifestyle. Sri Lanka: voted the best country to visit in recent times!! Sri Lanka is the ideal location to retreat, relax, rejuvenate and immerse yourself into the DCK Lifestyle experience. Your private villa is set on one of the best beaches on the island: Tangalle with glowing coral reefs, gentle sandbars & undiscovered corners of paradise. Many people claim that the beaches around Tangelle have the softest sand & the safest sea along the entire coast, offering you the chance to embrace nature & explore the coral reefs & a couple of wrecks. 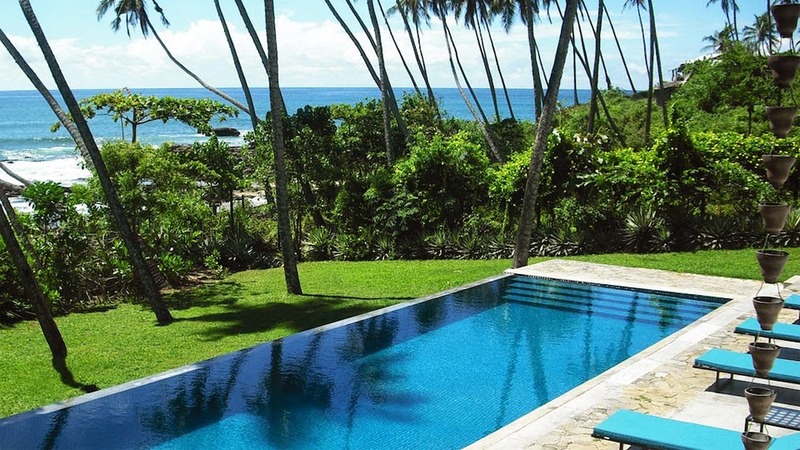 Villa Janani is located on its own beach front & consists of 6 private suites, expansive living areas and 6 bathrooms which offers privacy and space. Sri Lanka continues to inspire & heal many who travel to it's shores hence why DCK Lifestyle has chosen it as their top destination to take part in the divine existence & bliss. Awaken the senses & stimulate your digestive system with a fresh cup of ginger, lemon and turmeric tea. Salute the sun with your 90mins of vinyasa flow. A dynamic practice to strengthen core, stretch, stimulate digestive function, align the centre to your soul. Perfectly selected from all local organic produce to set you up for your day and continue the detoxification process. Knowledge is power. This is the your time to gain wisdom, improve your yoga practice, & open the mind as we teach you all aspects of living a sustainable, wholefoods and chemical free lifestyle. Now your mind is stimulated its time to nourish every cell with an array of living foods and an anti-inflammatory liver cleansing juice. Come sit, digest, learn & master some of the most useful raw food kitchen skills needed to take back into your everyday life as we teach you how to create a living wholefoods kitchen through a practical cooking demonstration. Enjoy the moment, be still & be present with self. Enjoy a freshly brewed tea of detoxifying herbs followed by your choice of exploring the local area, reading a book or a massage/ spa treatment to stimulate detoxification and circulation. The time has come to go within as you lengthen, stretch & centre your body, mind & soul with a Yin style practice followed by guided mediation. stimulate the senses with an aromatic raw soup and sprouted seeds salad to nourish every cell in the body and prepare the digestive system for sleep. Reflect upon your day, meditate or simply be still with self as you enjoy your raw turmeric, walnut, coconut milk bottle to inhibit optimal sleep and provide the mind key nutrients for rest & restoration. All nourishing vegetarian, raw & wholefoods to stimulate detoxification. observe the Blow Hole at Kudawella from the sea . Warm you up before a visit to Galle and its own UNESCO World Heritage Site at the fort. This area is also an oasis for some browsing and shopping in its' boutiques. Flights not included in retreat pricing. We highly recommend All travel insurance is purchased prior to departure. Local Weather is a balmy 26-27 degrees at this time of year so pack light. Join our DCK Lifestyle retreat experience by submitting your details below. A friendly DCK Lifestyle team member will contact you promptly. On confirmation DCK Lifestyle will send you a welcome package with detailed information on your happy journey ahead. DCK Lifestyle takes all forms of payment including Amex, MasterCard & Visa. For all enquires please see our website below. For all inquires please see our website below.